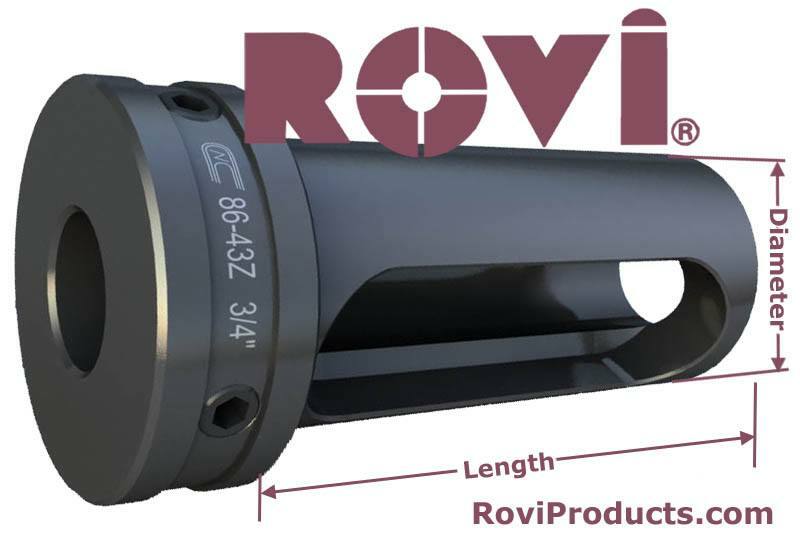 Z Style Lathe Tool Holder Bushings » Rovi Products, Inc.
ROVI just made it simple to Order Z Style Tool Holder Bushings ONLINE! The most flexible Toolholder Bushing for all types of CNC Turning Centers, Turret Lathes and Chuckers. The Elongated Slot gives the user a complete interchangeability with all brands of equipment. The added Set Screws in the Head allow for increased rigidity. The bushings are hardened and precision ground concentric. Can also be used for Preset Tooling. Scroll down to and select the O.D. size that fits your machine to order online. Download Toolholder Bushing Type “Z” PDF for full specs.